St. Leonard's Community Services in Dunnville helped Jesse Cottingham reach two goals -- to stop drinking and to upgrade his education. Difficult pursuits on their own, Jesse decided to take on both challenges at once. "My life was at a standstill," he said. "So, I took it upon myself to get the help I needed. I knew I couldn't complete the schooling without going on to treatment." With alcohol counseling now complete, Jesse is on course to reach his educational goal of earning his Grade 12 diploma. That would give him the qualifications he needs to enroll in the Funeral Directory Services Program at Humber College. Staff at St. Leonard's call Jesse a positive role model for others taking on the challenge of addiction counselling and schooling. 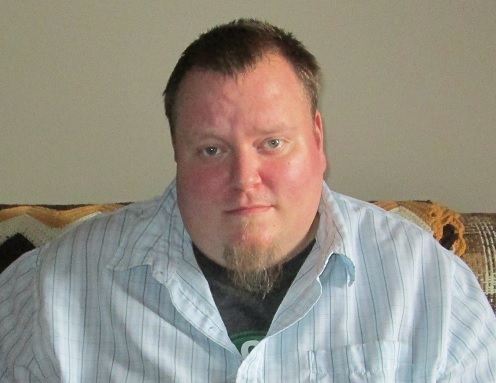 "Regardless of his circumstances, he has always been a positive, hard-working individual," said Dana Kuriger, an Ontario Works case manager with Haldimand and Norfolk Social Services. "Despite being faced with personal challenges that made it difficult to achieve his educational goals, he never lost sight of his aspirations." Jesse has his own message for others who may be facing their own personal struggles. "Don't be afraid to ask for help. It's out there, you just have to look for it." Photo sumbitted by Jesse Cottingham.